If there is one common trait that links the world's greatest investors, it's a desire to learn. And to keep learning. When I was younger, the available learning sources were much fewer than we have available to us today. We had newspapers and magazines, libraries and universities, but none of it was instantaneous; we had to travel somewhere else to grab the latest information. Nowadays its much different - Enter the Internet. These days there's an incredible volume of high quality, free material available to us to supplement our learning experiences. Of course, one of the downsides to having all this information is that we don't always have the time to review it. Our lives are so busy with work and family, there's usually not much spare time to devote to learning. Enter the humble Podcast. Podcasts are like audio-blogs. When stuck in traffic, sitting on a plane or waiting for a bus, a podcast is a great way to better utilize that downtime and keep learning. 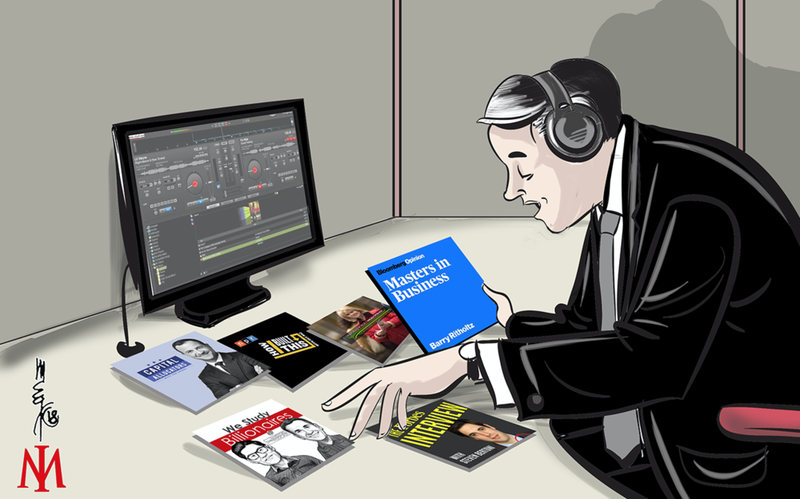 Over the last few years I've taken to regularly listening to podcasts, and have enjoyed many which have challenged my thought processes, provided numerous investment insights and added to my knowledge base. If I'm reading a book recommended by one of the Investment Masters, I'll often search the Apple podcast App to see if I can catch a quick podcast with the author first. I also often subscribe to a series and save individual podcasts to come back to. The series that I've included above are those I regularly enjoy, however you'll find there are plenty of other great podcasts available to you. To date, despite listening to copious amounts of these wonderful audio blogs, I've barely scratched the surface when it comes to those devoted to great businesses and investing. Others I've also enjoyed listening to include episodes from FT's Alphachat, McKinsey on Finance, The Tim Ferris Show, Invest Like the Best, Knowledge@Wharton, Inquiring Minds and Value Investing Podcast to name but a few. If you're embarking on a new book, studying a new discipline or learning about a favourite investor, take a trip to the App store to see what you can find. You might be surprised. And whether you're driving, about to travel on a plane or are stuck in traffic on the way to a meeting, throw on those headphones and listen to a podcast. Its one of the best ways I know to keep learning!